An easy HVAC plan software that helps design HVAC plans with examples and templates. Quickly and easily create HVAC plans from data in minutes. The HVAC plan software interface is super user-friendly so that anyone can master the software quickly, without learning curve and no drawing skill is required. Simply drag and drop symbols, apply built-in designed themes, and automatically share your finished garden designs into a presentation or PDF by only one click. With Edraw, building HVAC plans is really an easy job. Discover why Edraw is the simplest and easiest, yet most powerful HVAC plan software: Download it Now. Edraw HVAC plan software is specially tailored for the creation of professional and presentation-quality HVAC plans from templates. HVAC plan software works the way you think. It helps you build air handing, airflow, hydronic and steam systems. Create in minutes what used to take hours or even days. 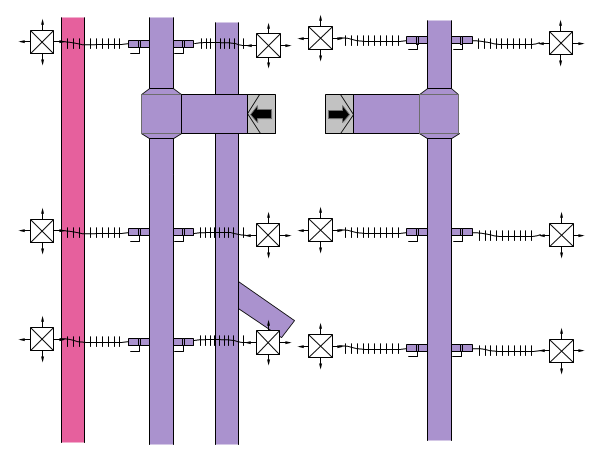 Below is a factory HVAC plan example made via Edraw HVAC plan software. With HVAC plan software you can connect a boiler to a pipe in a few easy steps. HVAC plan software takes you from the end of your building loads to the end of your HVAC design project by selecting and scheduling your equipment. 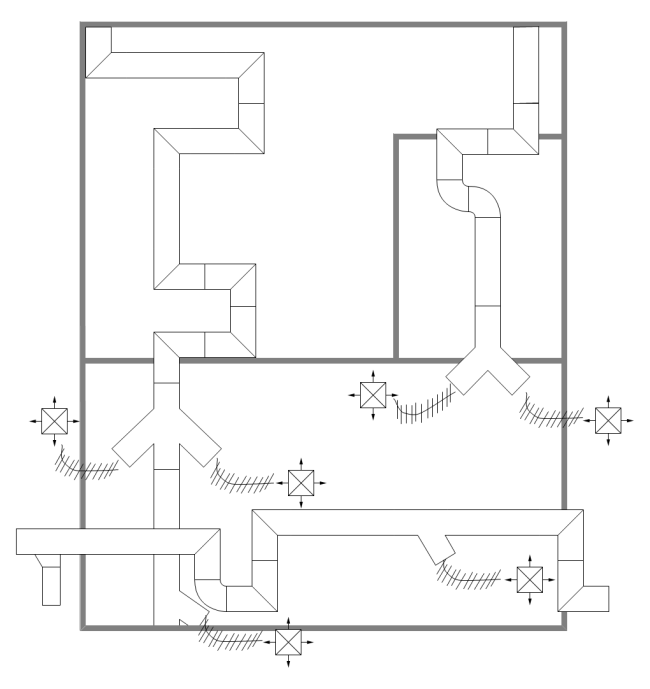 HVAC plan software makes it easy for a designer or engineer to lay out their ductwork. You can focus on the 'big picture' as you design your HVAC system by using HVAC plan software. Using HVAC plan software to make HVAC plans is quite easy. 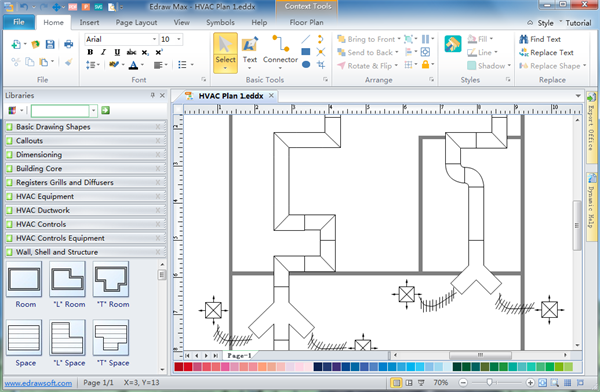 Just drag and drop the HVAC plan symbols you need on the drawing page. Registers grills and diffusers, HVAC equipment, HVAC ductwork, HVAC controls, HVAC controls equipment symbols are also available in this HVAC plan software to facilitate your drawing of HVAC plans.